With just under a week until Christmas, there is a lot of festive cheer in the air and I landed back in England yesterday afternoon to spend the next two weeks here in Essex with my family. This time of year is perfect for giving thanks and being grateful for all we have, so the perfect opportunity to get back into writing my Things I Love feature. I would also like to say Happy 1st Wedding anniversary to my dear friends Kate and Chris! 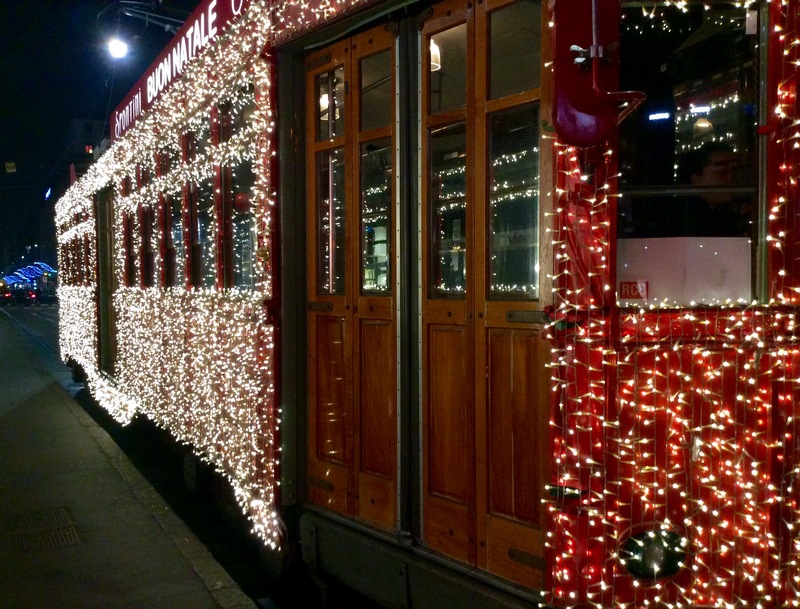 Spontini Christmas Tram in Milan! Why can’t all trams look like this!? It would be amazing! Have a lovely Christmas week everyone!